The Telecom Regulatory Authority of India (TRAI) has raised this and more such questions in a new Net Neutrality consultation paper. The Telecom Regulatory Authority of India has ruffled the Net Neutrality feathers yet again. Last year, the regulator floated a paper on Net Neutrality and differential pricing, which was followed by a heated debate amongst stakeholders. Net Neutrality, the principle of keeping the internet a fair and open platform, won last year’s differential pricing debate when the TRAI ruled against differential pricing of data plans on the basis of content. While the regulator may have put that debate to rest, it has proposed a new one. Already being referred to as Net Neutrality 2.0, the telecom authority has now proposed to answer 14 questions in a new consultation paper. This time around, the regulator is seeking comments on Internet traffic management. “Increasingly, concerns have been raised globally relating to discriminatory treatment of Internet traffic by access providers. These concerns relating to nondiscriminatory access have become the centre of a global policy debate. The purpose of this second stage of consultation is to proceed towards the formulation of final views on policy or regulatory interventions, where required, on the subject of NN,” writes the regulator in its consultation paper. Essentially, on the recommendation of the Department of Telecom, the regulator is trying to determine whether internet service providers (ISPs) are discriminating in the distribution of bandwidth based on services used. Net Neutrality seeks an equal treatment of data and ISPs, owners of content networks have the power to control how that data is pushed to the end user. So when you see a torrent website blocked, or a video buffering slowly, it is up to the service provider to determine the user’s experience and allocate bandwidth for the user’s content consumption. “Some content (like video) requires high bandwidth whereas some applications (like real-time gaming) have very stringent requirements. The exponential increase in Internet traffic and the evolving nature of the content that constitutes part of this traffic, can therefore lead to the overburdening of networks. As a result, TSPs (Telecom service providers) may not always be able to deliver an adequate level of QoS (Quality of Service) to their users,” says TRAI. Further, TRAI’s consultation paper says,“Service providers generally use a range of techniques to manage the safety, security and efficiency of their networks. It is important to ensure that such techniques are not used by service providers in a discriminatory manner.” For instance, when networks are overloaded, ISPs can decide which content stream to prioritise/throttle and which to withhold until the congestion is resolved. 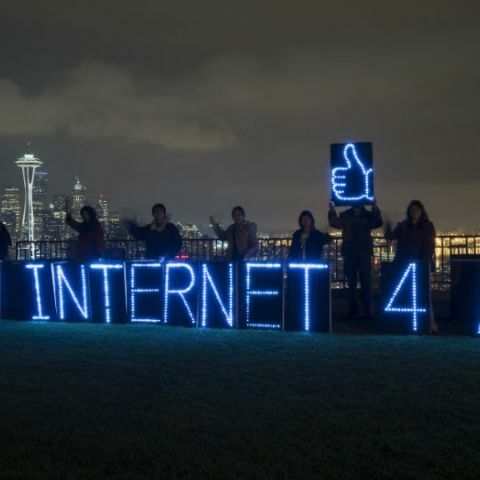 However, the regulator specifies that any such Net Neutrality policy should not interfere with the ability of the ISP to manage their networks. “It is important to ensure that the end users who are affected by these practices have access to relevant information about the types of traffic shaping practices being followed by service providers and the reason for which they are being deployed,” writes the regulator. Along with similar questions on appropriate internet traffic management, the regulator is also seeking to clearly define Net Neutrality in the Indian context. But, before it can do so, issues like traffic management need to be resolved. Now, to determine acceptable or unacceptable traffic management practices, the regulator will first try and define what would constitute as “reasonable” traffic management practices. Another approach suggested by TRAI is to limit itself to a negative list of non-reasonable traffic management practices. While TRAI may be seeking to check the discriminatory management of Internet traffic by ISPs and content service providers, it is important to know how the internet actually works. The internet is not controlled by a single service provider or various service providers individually, instead the internet is a series of networks interconnected to each other. So if you buffer a video on YouTube or send an email to a friend, the information is broken down into different data packets, which travel alongside everyone else’s data, given that the internet is also a shared medium. The only part that ISPs such as an Airtel, Vodafone or any other provider controls is the last mile connectivity. So when talking about net neutrality, only this last mile connectivity should be considered. The content you request from the internet travels over multiple networks to get to you and broadband providers can only regulate this traffic when it reaches their network. It is this mile of network that is protected by the principles of Net Neutrality. Let us know your thoughts on the subject in our comments section below. Meanwhile TRAI has requested comments from stakeholders on the subject by 28 Feb, 2016.